Blue Frontier and the Center for the Blue Economy published our promised report (see BN#173) identifying top priorities for making our coasts and public seas more climate resilient while maintaining the blue economy. 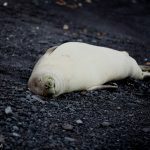 They appear in the environmental science news journal Mongabay. We call for a complete reformation of the National Flood Insurance Program (NFIP) administered by FEMA, major coastal infrastructure investment with a focus on protection and restoration of natural barriers and coastal habitats, new guidelines and systems for expanding offshore renewable energy production, new forms of assistance to ports and fishing communities, a network of marine protected areas like National Parks in the sea with a focus on climate resilience, increased aquaculture investment, and a revised National Disaster Recovery Framework, including creation of a new Disaster Response combatant command within the Department of Defense. We see this report as the beginning of a discussion among conservation activists, academics, policymakers and ocean entrepreneurs and businesses to address the greatest challenge our coasts and ocean have ever faced. Dive into the complete report. What is an “inland ocean”? Is it Nebraska’s 500-year floods and the additional historic flooding expected along the Missouri River this spring? Is it Mozambique’s vast standing floodwaters behind its storm battered coast where hundreds of people were just killed? Is it our vast inland reservoirs of polluted groundwater from fracking and drilling resulting from our not taking climate action sooner? Inland Ocean Action is how we respond to the many environmental insults threatening our ocean planet today by building a more powerful movement from the grassroots up and the U.S. heartland out. 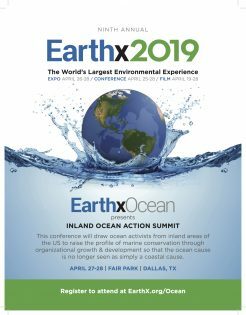 Join us on April 27-28 for the first Inland Ocean Action Summit (IOAS) at EarthxOcean in Dallas Texas along with speakers and panelists: Senator Sheldon Whitehouse (D RI), Explorer Fabian Cousteau, Indigenous Iowa Water Protector Christine Nobiss, scientists Nancy Rabalais and Jeremy Jackson, Iowa Farmer Seth Watkins, Coastal Paddler Margo Pellegrino, Youth leaders from Heirs to Our Oceans and many more. 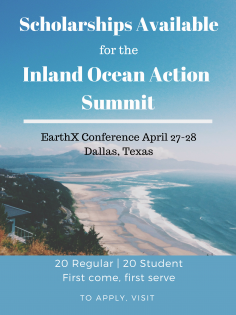 IOAS is sponsored by Blue Frontier, the Inland Ocean Coalition and EarthX, with additional participation from Greenpeace, 5 Gyres, Gulf Restoration Network, ECO, American Littoral Society and others. 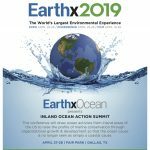 Along with a first day of talks, panels and workshops including a planning workshop for M4O marches on June 8, and a tour of the EarthX 2019 expo, the world’s largest environmental exhibition, day two will include a Blue Frontier Media Training Workshop led by four media professionals and a national chapters meeting of the Inland Ocean Coalition. 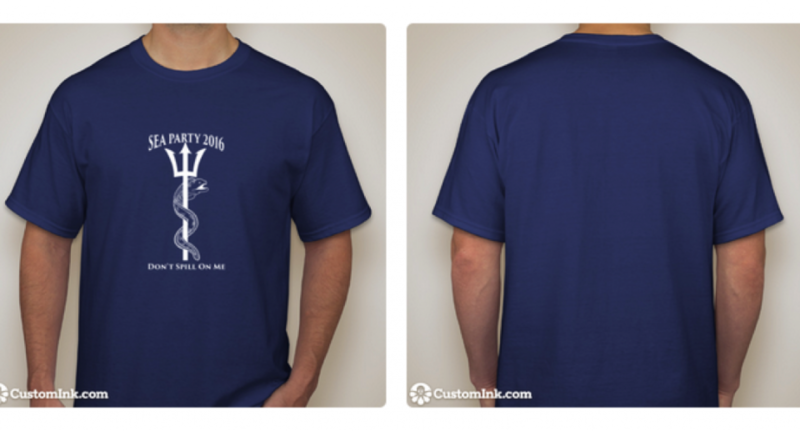 Click here for all the details and to register today (space is limited). 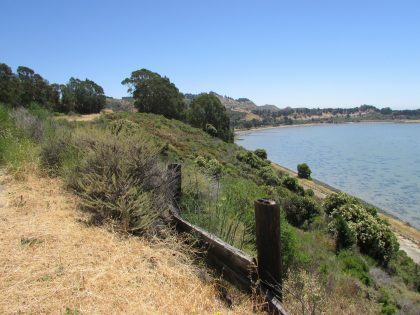 On March 19, in a closed to the public session, the mayor and City Council of Richmond, California, where I live, voted to accept a proposal from SunCal, a major southern California developer, to build a luxury housing tract on the last isolated and undeveloped headland on San Francisco Bay, that is also home waters for its healthiest marine grasses. Directly offshore from this potential world-class nature park lies 50 acres of city-owned eelgrass beds that are considered the healthiest, most unique marine grass community and food web in San Francisco Bay. 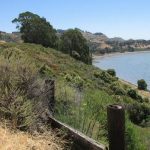 The Point Molate Alliance that I co-chair is a growing coalition of community groups, environmentalists, scientists, social justice activists and others who aim to stop this latest scheme to privatize and gentrify this public resource (we defeated plans for a mega-casino here in 2010). For my article on the endangered eelgrass beds of Point Molate that just ran in Bay Nature (and that our Mayor immediately and erroneously labeled ‘Junk Science’) please click here. 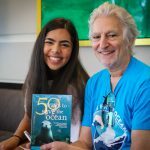 Saturday June 8, the U.N.’s World Oceans Day, is when we can all be a part of celebration and protest during the second global March for the Ocean. Join activists in Cozumel, Surinam, Ventura California and many other parts of our blue marble planet. Here’s the latest logo for the 2019 March for the Ocean (M4O) in Paris. 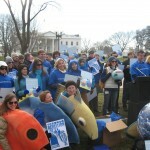 There will be an M4O planning discussion of the March on Sunday April 28 at the Inland Ocean Action Summit in Dallas. We will also soon be updating the March for the Ocean website with new information. If you’re planning a march or would like to start one against offshore drilling, plastic pollution, to protect your shores from rising seas or a related blue cause, please reach out to us at info@marchfortheocean.org or if you would like to take a leadership role in your city, nation or continent (we missed Antarctica last year), please contact us. The first time I saw the beach, I was enchanted. I was resting on a beach in Florida and ran my hands through the sand, saying “beach” for the first time. I splashed in the waves with my dad and said hello to the tiny fish jumping out of the water. It was right at that moment that I fell in love with the ocean and all of the life that it supports. However, that beautiful beach I visited as a toddler might not exist by the time I’m a mother. What is most sad is that this beach is cleaned often by volunteers and yet we know the plastic is expected to return. 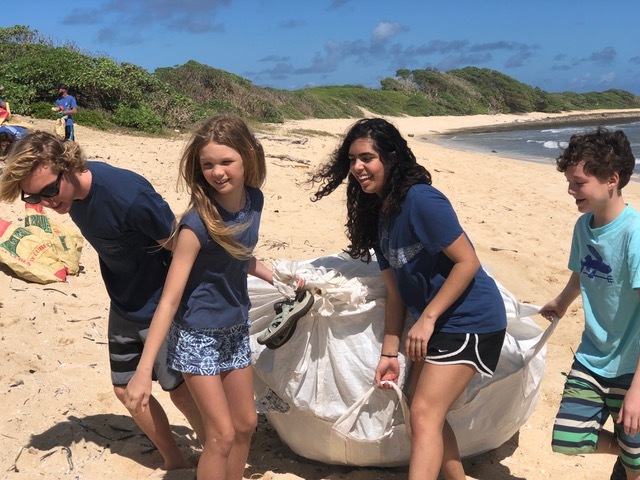 On one hand, cleaning up the beach seemed frustrating because we know unless we tackle the source of the problem and turn off the tap, plastic will wash ashore again. But on the other hand, we can’t just leave the plastic there either! What did we find? The most common items we saw today were bottle caps (some with Asian writing), pieces of fishing nets, and toothbrushes. There was also a lot of unrecognizable plastics. One of the interesting things I picked up was the bottom of a plastic bottle that had dozens of little bite marks taken from it. It was apparent that fish were eating from this plastic bottle! Glad I am vegan and no longer eat fish! What didn’t we see? We didn’t see anything that wasn’t made of plastic because any biodegradeable products had already broken down! The problem with plastic is that it isn’t biodegradable, meaning it can’t be broken down into organic compounds. Instead, it breaks up into small, toxic microplastics that are eaten by fish. 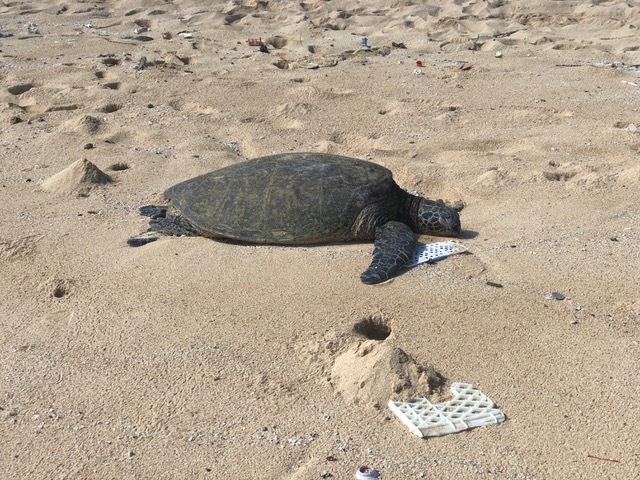 Our dependence on plastic products needs to end if we want to protect our ocean and our beautiful beaches! We all need to see what we can do as citizens and consumers to reduce our plastic consumption, to recycle properly, and to voice our concerns loudly to politicians and business leaders about this growing environmental crisis. 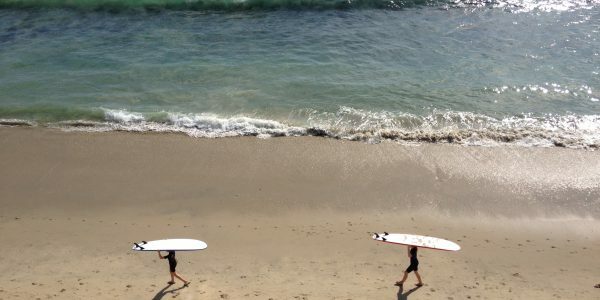 No matter where we live, the health of the ocean affects all of us. By taking steps to curb our plastic consumption and “turn off the tap,” we can help ensure that future toddlers will have an ocean to fall in love with. 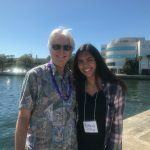 ~ Hannah was an invited speaker at the 2018 March for the Ocean in D.C. She is a leading advocate for plastic pollution reduction and ocean protection. 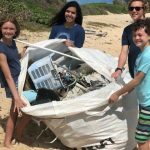 This commentary is also running on the Plastic Pollution Coalition blog. For more about Hannah and her work, go to www.hannah4change.org.